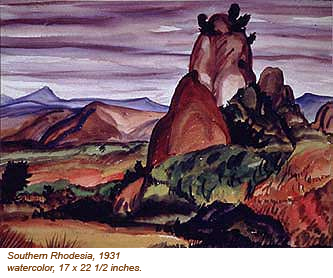 Paul Travis was born in 1891 in a place called Wellsville, an isolated rural corner of southeast Ohio. A 19th-century farm boy educated in rustic schoolhouses, he could easily have emulated those contemporaries who chose to pursue agriculture for the remainder of their lives. But Travis had two special talents—he could draw, and he could teach—and those skills would propel him along a quite different path. Ultimately, they would steer him into a celebrated artistic career, taking him from the gentle green hills of the American Midwest to the steaming jungles and choking deserts of Africa. 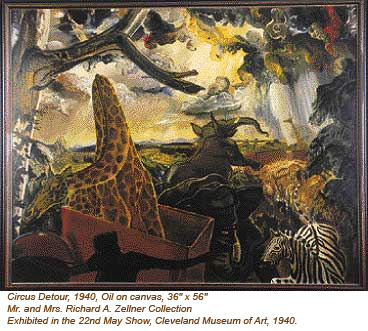 The first step of Travis’s journey was his enrollment in 1913 in the Cleveland School of Art (now the Cleveland Institute of Art), where he studied under, among others, Henry Keller, one of the city’s most successful and dynamic painters. 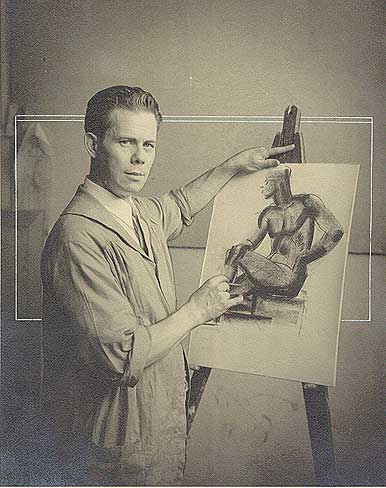 Upon graduation in 1917, Travis served in the U.S. Army during World War I, and after the war he remained in Europe, soaking up the atmosphere, sketching and painting when he could, and teaching life drawing at the American Expeditionary Forces University in France. When he returned to Cleveland in 1920, Travis was ready to begin painting in earnest. He was given a faculty position at his alma mater, where he would stay until his retirement in 1957. And as was true for many other local artists of the time, the Cleveland Museum of Art’s annual May Show provided much-needed exposure. His work began to garner awards, critical praise, and even collectors. In those years, however, Travis was still no more than a talented if relatively conventional draftsman and watercolorist. 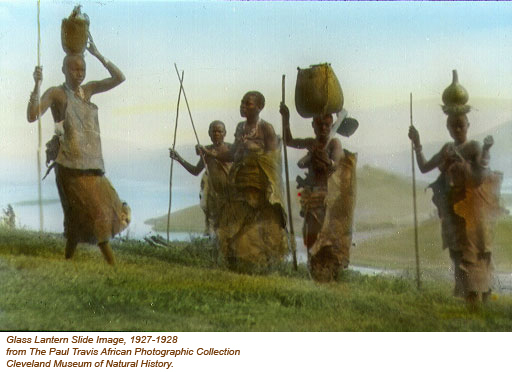 But everything would change in 1928, when he returned from an eight-month sabbatical trip through Africa. Sponsored by board members of Cleveland’s Karamu House settlement and other local African-American organizations and individuals, Travis had crossed Africa from south to north. He found himself overwhelmed by the natural beauty of the landscape, the variety of animal and plant life, and by the grace, nobility and selflessness of the native peoples he encountered. During his journey he made innumerable on-the-spot drawings, watercolors, photographs and films. He collected tribal masks and other artifacts, many of which would become part of the permanent collections of the Cleveland Museum of Natural History. And he absorbed so many visual and spiritual impressions—impressions of light, color, mood—that they would continue to inform his art for the rest of his life. Equally at home with drawings, watercolors, oils or etchings, Travis produced an enormous body of work. His most famous paintings depict scenes and moments drawn from his experience in Africa—individuals, family groups, animals on the prowl amid lush vegetation or stark landscapes. The power of his images derives in large measure from his singular approach. Unlike other artists, he never imposed an aesthetic theory on the wonders he saw; instead, he allowed Africa's grandeur to shape his vision. A much-loved teacher and mentor, Travis influenced generations of students with his openness to modernity and his willingness to explore change. His work regularly garnered prizes at the more than 50 May Shows in which he was invited to exhibit, and by his death in 1975 he was a full-fledged icon of the Cleveland art scene.